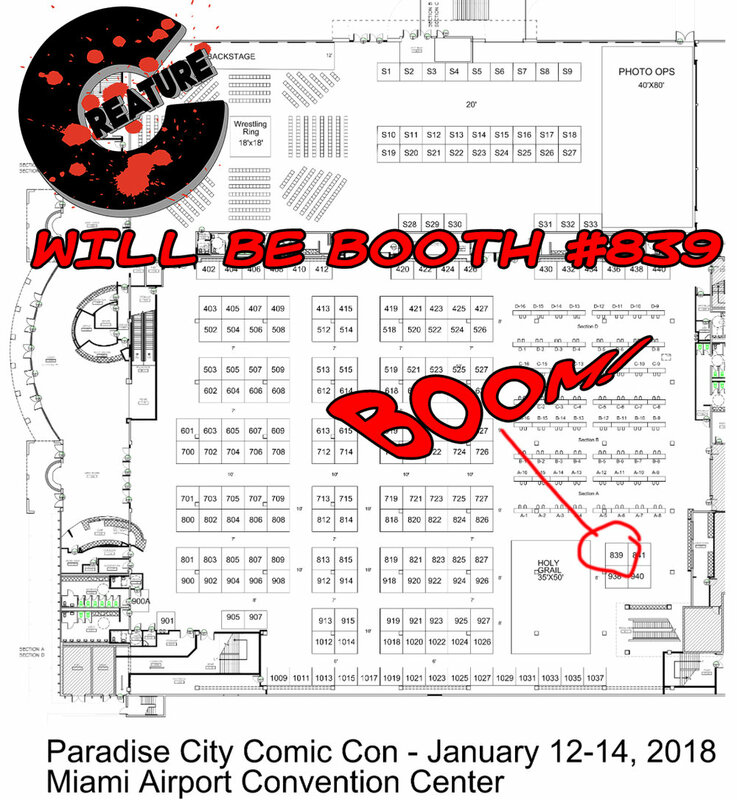 THIS WEEKEND: PARADISE CITY COMIC CON! Creature Entertainment is a Comic Book, Animation and Filmmaking Studio based in Miami. They publish comic books and produce short films and feature films. Some of the titles published by Creature Entertainment include: The Zombie Years, Forgive Me Father, Ravenous, The Gun, andTommy. Find out more by clicking the banner below!